Billy Graham once said, “I look forward to death with great anticipation” and “My home is in heaven. 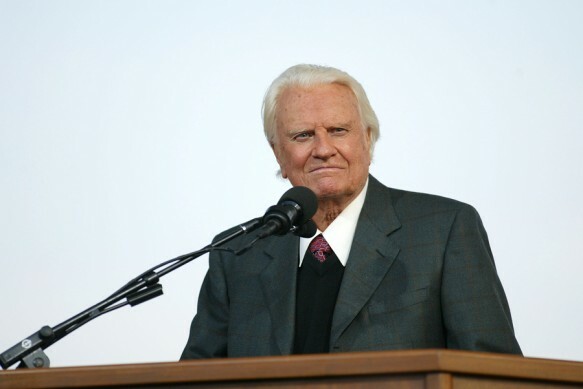 I’m just traveling through this world.” Today we say goodbye to the great evangelist who is now home. He was one of the ten most admired men in the world, appearing on the list more than anyone. He preached to more people in live audiences than anyone else in history. He was frequently called the Protestant Pope. He has awards ranging from the Ronald Reagan Presidential Foundation Freedom Award to the Congressional Gold Medal. He was bestowed with the Honorary Knight Commander of the Order of the British Empire. He was truly one of the giants of the last century.